If you require a reliable, local company for Drainage, Plumbing and Heating or Groundwork and Excavations in the East Grinstead RH19 area, then look no further than 1st Clear Flow Ltd.
East Grinstead is a historical town with beautiful surroundings located in the north east corner of West Sussex, just on the borders of East Sussex, Surrey and Kent. The town has a growing population and thriving business community and 1st Clear Flow Ltd are here to assist the residents and businesses of East Grinstead with maintaining their high level of residential property, commercial property and infrastructure maintenance. 1st Clear Flow offers an array of services in East Grinstead for both domestic and commercial sectors. Our main services include Drain Unblocking, Blocked Drain Clearance, all types of Plumbing, Heating, Boiler Installation, Boiler Maintenance, Groundworks and Excavations. Our full range of services in East Grinstead can be found below. 1st Clear Flow have been serving the East Grinstead community for over the last 20 years, since the business was created. Our work is carried out by our experienced, locally knowledgeable, drainage and plumbing and heating engineers which are Gas Safe Qualified. 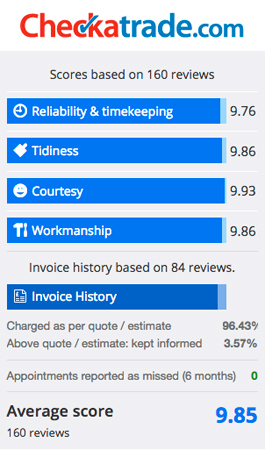 We also pride ourselves on our client feedback of 98%+ which can be verified on Checkatrade. No job is too big or small, so if you require any of the services mentioned above, please give us a quick call to discuss the work you require on 01903 212392 or alternatively fill out our quick contact form on this page and we will get back to you as soon as possible.